An evening trip on a train always brings a photo opportunity. 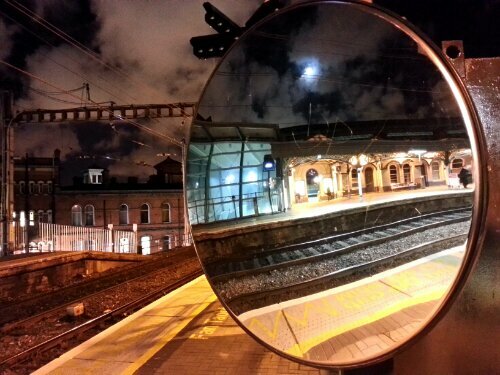 A little low light reflection in the mirror of the tracks and station with the night sky. This entry was posted in 365 Photo Project 2013, Blog Posts, Image Post and tagged A Man With His Camera, Irish Rail, Lowlight, photography, Project 365 Photo, Reflections, Trains.